BSMPG 2015 - Agenda Announced! BSMPG 2014 Just Got Better... Again! Only Four More Weeks - BSMPG is about to Sell Out Again! Who Are Your Goals For? Why Do I Have This Pain? Iñigo Mujika: How Hard Can/Should You Actually Train? Charlie Weingroff's "Training = Rehab II" to be filmed in Boston! Is it a Placebo if it Works? Should Symmetry Be Your End Goal? How Good Is Your Product? Take a Deep Breath - We are only ONE WEEK AWAY! DNS "B" Course Boston - SUCCESS! BSMPG 2013 Summer Seminar - Early Bird Price Extended! BSMPG Wants To Give You Free Stuff!! Mark Lindsay and Achilles Tendinopathy : More than just Eccentrics! Your Anatomy Teacher was WRONG! BSMPG wants to invite YOU!! Q: Who Do The Top Athletes From Around The World Trust After Surgery? Q: What Has 9 NCAA Ice Hockey Championship Rings and Will Be In Boston May 19th and 20th? BSMPG Summer Seminar, May 19-20 - Early Bird Extended! Postural Function of the Diaphragm and Low Back Pain by Pavel Kolar et al. DNS Course in Boston a Huge Success!! BSMPG 2012 Summer Seminar Agenda Finalized! The Wait is Over - Triphasic Training is HERE! When Cal Dietz Talks - Listen! Register for the 2012 BSMPG Summer Seminar and Win Prizes! Less Than 3 Weeks Left to Christmas...Get BSMPG Stocking Stuffers Now! Gifts for the Sports Medicine and Strength Professional on your List! BSMPG Releases a Second DVD Set From This Summer's Seminar! BSMPG Summer Seminar DVD's Now Available! 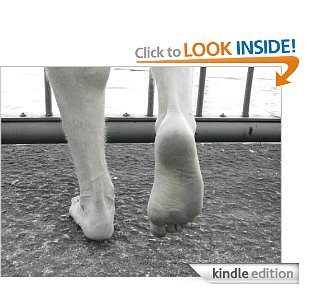 Barefoot in Boston now available on Amazon.com - Get your copy now! Intensive Learning Track Almost Full! Register Before May 1st And Win!! So Your Season Is Over. Now What? Can We Make It A Two-Way Street? Boston Promise Fundraiser A Huge Success! Are You Worth Your Salary? Would your athlete's choose you? What's your definition of evidence based medicine? Are you filling the right gaps? Do your action steps match your goals? What else is keeping you from shipping? What sport will I be covering? What's keeping you from Shipping? Apple, GE, Southwest Airlines, and You? Watch highlights from last year's conference! Welcome to BSMPG and our first blog article!